Making authentic Hainanese Chicken Rice requires quite a bit of work and space. We normally make Hainanese Chicken by poaching the chicken at sub-boiling temperatures until it’s perfectly cooked. However, we wanted to create a simplified, faster, and easier pressure cooker version using just the chicken legs. Green Onion Ginger Sauce: Green onions, Ginger, Peanut oil, Salt – its strong flavors truly elevate the chicken taste with a gingery spice kick. Chicken Chili Sauce: Hot sauce, Ginger, Garlic, Lime, and Chicken stock. In Step 4, why do we need to plunge the chicken legs in an ice bath and rest on a cooling rack? Plunging the chicken legs in an ice bath or running it under cold water will immediately stop the cooking process and firm up the skin. We tested the difference between 2 chicken legs with or without the cooling process. We found that the cold water made the texture more delicious. No wonder Hainanese Chicken has always been served at room temperature! Now it’s YOUR turn to grab your pressure cooker and make some Hainanese Chicken Rice! 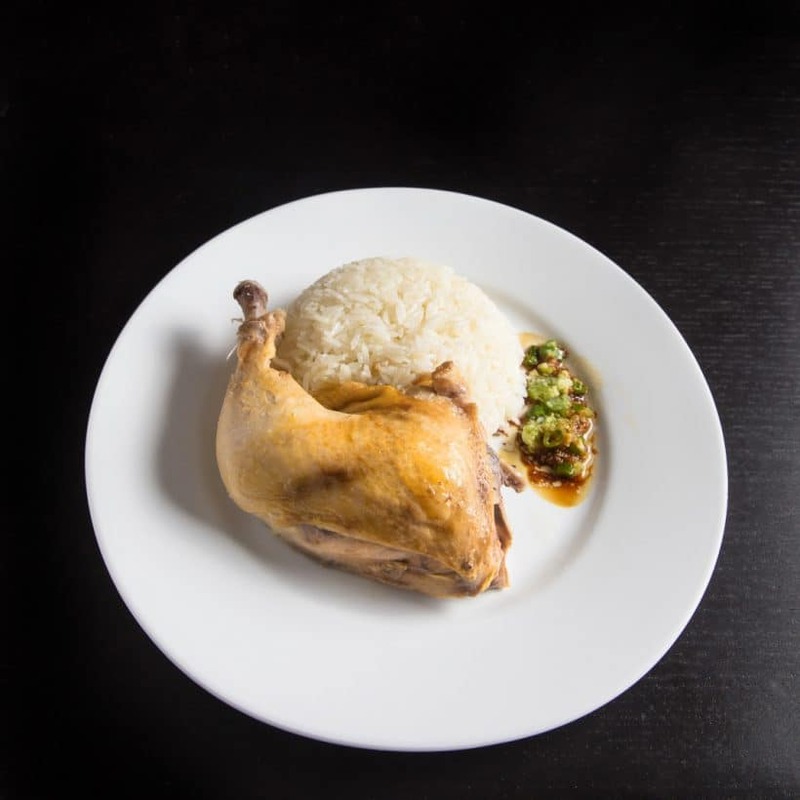 Make this easy Singaporean Hainanese Chicken Rice recipe! Tender, moist Hainanese chicken makes a comforting chicken and rice meal with a homey soup. Heat Up the Pressure Cooker: Heat up your pressure cooker (Instant Pot: press Sauté). 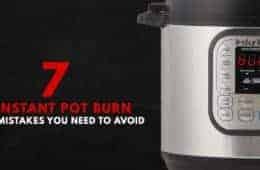 Make sure your pot is as hot as it can be when you pour olive oil into the pot (Instant Pot: wait until the indicator says HOT). Sauté the Green Onions, Shallot, Ginger, and Garlic: Pour in 1 tablespoon of olive oil. Add the green onions, minced shallot, minced garlic and sliced ginger, then sauté for roughly 2 minutes. Pressure Cook the Chicken Legs: Pour in 1 ½ cup of unsalted chicken stock or water and deglaze the bottom of the pot with a wooden spoon. Add 1 tablespoon of sea salt to the chicken stock mixture in the pot and mix well. Place all the chicken legs into the pot. Close lid and pressure cook at High Pressure for 8 minutes (Electric or Stovetop pressure cookers). Turn off the heat and fully Natural Release (roughly 10 – 15 minutes). Firm up the Chicken Skins: Open the lid and carefully remove the chicken legs from the pot with a pair of kitchen tongs. Plunge the chicken legs in an ice bath or place it under running cold tap water. Then, place them on a metal cooling rack to firm up the skin. Filter the Chicken Stock: Pour the chicken stock through a strainer to filter out the solid ingredients. In a measuring cup, mix ½ cup of chicken stock and ½ cup of water together. Please ensure it is not too salty as it will be used to cook the chicken rice with it. 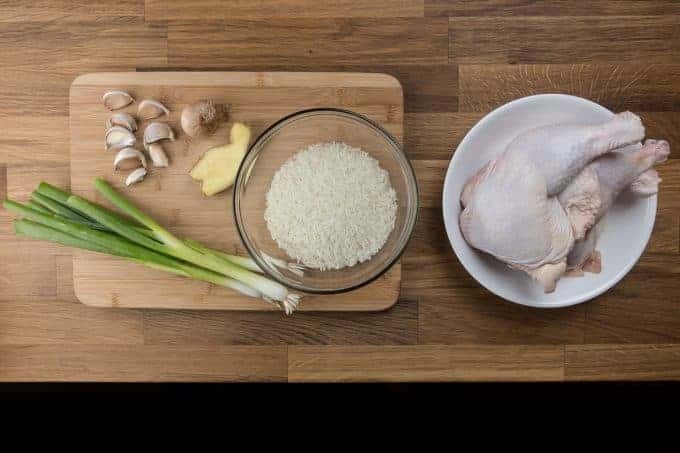 Pressure Cook the Chicken Rice: Heat up your clean pressure cooker (Instant Pot: press Sauté), pour in one tablespoon of olive oil and sauté 2 cloves of minced garlic in the pot. Add in a cup of jasmine rice and immediately add in the 1 cup chicken stock + water mixture. Close lid and pressure cook at High Pressure for 3 minutes (Electric or Stovetop pressure cookers). Turn off the heat and fully Natural Release (roughly 10 minutes). Prepare the Green Onions Ginger Sauce: Place the freshly grated ginger in a small bowl. Pour in 1 ½ tablespoon of HOT peanut oil, 1 stalk of finely chopped green onions and mix well. Add salt to taste (roughly ½ teaspoon). Prepare the Sweet Soy Sauce: Mix all the listed ingredients together. Prepare the Chicken Chili Sauce: Mix all the listed ingredients together. Prepare the Chicken Soup: Do not let the remaining chicken stock go to waste. It is both tasty and healthy. Heat the chicken stock in a sauce pan. Dilute the chicken stock with water until it is not too salty. Bring it to a light boil and cook your favorite lettuce or cabbage in it for roughly 1 minute. Garnish with chopped green onions and serve on the side. Looking for more chicken and rice recipes? Don’t miss our One Pot Chinese Pressure Cooker Chicken and Rice. This might be a crazy question, but I have a major aversion to chicken that has skin or bones. 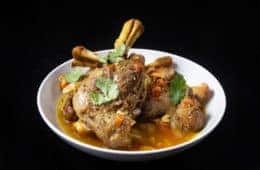 Is it possible to make this recipe using boneless skinless thighs or breasts, and obviously skipping the ice bath step? Skinless and boneless chicken thighs will work fine. It will come out slightly drier. I recommend 5 minutes and 10 minutes natural release. This looks fantastic and I can’t wait to try! I want to substitute brown rice for white— any recommendations on how this would change instant pot settings/cooking time? You will want to use the Pressure cook/manual button. The cooking time will be 18 minutes and 10 minutes natural release. You will want to use an extra 1/4 cup of liquid per cup of rice. Can I use a whole free range chicken? Thank you for your question. I recommend following this recipe for a whole chicken. I have a quick question…I don’t have an IP but a regular stove top pressure cooker. Can you let me know how long I should cook the chicken and the rice in a pressure cooker? Thank you! I’ve been eyeing this recipe for over a month and have been dying to try it out but couldn’t figure out how long to cook the chicken and rice. Thank you for your question. The cooking time will be the same for this recipe. Can I use Mirin or rice wine vinegar instead of the shaoxing wine? Thank you for your question. I recommend substituting the Shaoxing wine with more of the chicken stock. Love your recipe!! Can I use a whole chicken? If so, will I need to double the ingredients and seasoning?? Thanks! Thank you for your question. For whole chicken, you can use this recipe as a reference. I just prepared this for my family tonight and it was delicious!!! I tried a different method of cooking previously and it did not come out well. But with your directions using the Instant Pot, it came out perfect. The meal brought us back to Singapore. My husband couldn’t believe how tender the chicken was. Hi Amy and Jacky, I love Hiananese Chicken Rice and have recently seen a Thai version, all cooked together at the same time in a stovetop saucepan. ( the rice, chicken stock and then the chicken placed on top of the rice and steamed). Do you think this may be a good idea to do in the ip? They recommend 25mins stovetop in a saucepan, what time would you think in ip? Time saving idea, maybe, Darryl. The burn error message may come up. You will want to layer the chicken at the bottom and rice at the top and make sure the rice are fully submerged in the liquid. I will use the same cooking time as this recipe. Hi just returned from Singapore and loved this dish! I only have chicken legs (not leg & thigh) how will I need to adjust the cooking time? Also any suggestions for cooking time with brown rice? Chicken legs will take 6 minutes and 10 minutes natural release. Brown rice will take roughly 20 minutes and 1 1/4 cup of liquid. Instead of cooking the rice separately, will this recipe work using the PIP method (specifically using Ekovana)? If yes, how many minutes do I need for this method and/or any other adjustments? It will work fine and no adjustment is needed. What would be a good substitute for the peanut oil in the ginger scallion sauce? My daughter is allergic. Vegetable oil will be a good substitution. Ive commented on this recipe about a year ago but I need to give updates again. 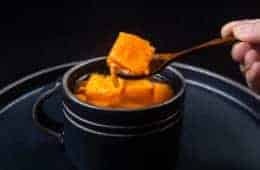 It is still one of my favorite recipes on your page. The chicken rice is out of this world and this time I really focused on 3 of the sauces this time (sometimes I didn’t have all the ingredients for all of them). And WOW! 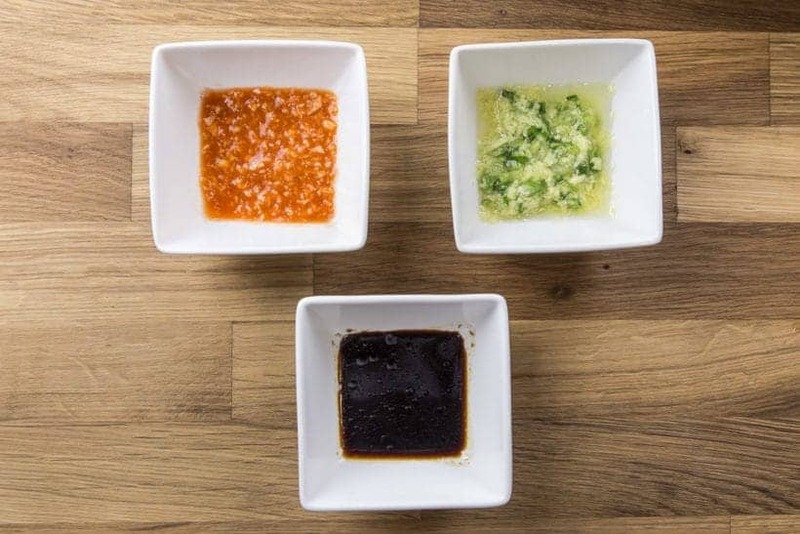 I love all 3 of the sauces, my favorite being the scallion ginger sauce. They are so different in flavors I had to eat all 3 of them by taking turns with each bite to decide. I devoured the chicken waiting on the rice! 😳 The only trouble I had is with the cook time of 3 minutes, my rice was still hard but I think it is because I have the fagor pressure cooker and I find I needed to increase my cook times for almost all recipes due to being slightly different than the instant pot (they designed the Fagor to come up to pressure quicker and natural release faster as well) So After the initial 3 minutes, I had to pressure cook it for an additional 2 minutes with a 1/2 cup of chicken stock and then it was perfect. Do you think next time I should just do 5-6 minutes to adjust for this? Thank you guys for being my favorite go-to chefs for quick, delicious meals!!! The 5 – 6 minutes cooking time should work well. I will probably do it for 7 minutes to compensate for the get up to pressure time. I first had Hainanese chicken and rice when my roommate made it for a group of friends 7 years ago and I haven’t had it since… but I never forgot about it! I followed your recipe to the “T,” but I had to buy a whole chicken and take off the legs myself. I used the breasts (skin-on) for a different recipe. Since I had the organs, back meat, ribs, and spine, I used those to make broth (with onions, celery, carrots, and garlic), and it yielded about 8 cups. I used that broth as the basis for the broth in your recipe so it was like double chickeny deliciousness. The resulting broth for the cabbage soup and rice was INCREDIBLE. The sauces were AMAZING. My boyfriend and I each had our favorites (I liked the spring onion and ginger and he preferred the spicy chili sauce.) The only thing I changed was to make more rice, and even then I wish I had made more. We had no leftover chicken, but I had a small bit of the rice left over and ate it with fried eggs and the spicy sauce the next day. Thank you for your hard work and keep those tasty recipes coming! Happy to hear your boyfriend enjoyed it as well! 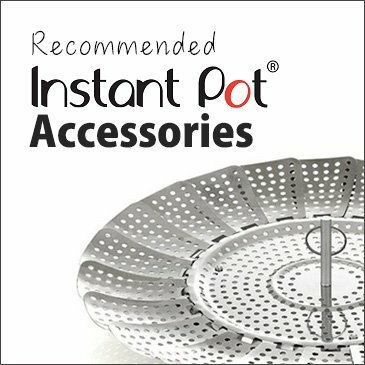 Hi there, I’m a new instant pot owner and was surfing the web looking for easy recipes and found your site. Thank you for sharing these great recipes! You can cook them all at once. I recommend doubling all the ingredients and reduce the cooking time. 4 minutes at High Pressure + 10 minutes Natural release time should be enough as the get up to pressure time will be a lot longer. what if I want to cook the hole chicken is there any ajesttment I should do? For this method, it will be best to chop up the chicken into pieces. Or you can use this method here. Hi I followed your recipe with 2 chicken quarters and the liquid covers half the chicken. If I wanted to make 4 chicken quarters at a time the liquid will not be enough to cover the other two chicken quarters . How much more liquid do I need to make 4 chicken quarters? And how long do we cook for if we add more liquid? The chicken quarters will only need to be partially submerged in the liquid. The cooking time will stay the same as well. Sorry another question! My store only has chicken leg + thigh together as one piece. If I have 4 in a 8qt do I need to change time? Thanks! No adjustment is needed. A whole chicken leg consists of both drumstick + thigh so that will be perfect. Hello!! Been wanting to try this recipe for ages and I think I’m finally going to do it this weekend! Just wondering if I can substitute peanut oil for another oil? No allergies, just didn’t want to buy another oil if I didn’t need to. Thank you!! You can use vegetable oil or any oil without a distinct taste. Thank you so much!! You guys are amazing. Been following you guys for a while and used a lot of recipes! Thanks so much for your hard work! Am I able to cook 6 chicken legs at once or would it be too overcrowded? Any changes needed? I have to cook for 4-5 with a 6 quart instant pot. Thanks for your amazing recipes! This is my fave! I would recommend reducing the cooking time by a minute as the get up to pressure time will be increased. I made this and only adjustments was i doubled the chicken and made 3 cups of rice. Not enough rice. People loved it so much and had thirds. It was so amazing and authentic. My family was so impressed by my cooking skills. That garlic chilli sauce was everything I hoped it would be!! I just wanted to say thank you for all you do. Your recipes have really changed the way I feel about cooking. I have the oatmeal almost every morning. Some of my favorites are the umami meatballs, ginger pork shogayaki, and the coconut rice. I didn’t like this chicken but I did enjoy the sauces and rice. It’s so wonderful to be able to try things I otherwise wouldn’t even if I don’t care for it. I learn a new technique every time I prepare one of your recipes. I look forward to planning my meals and going shopping each week to feed my family your delicious healthy recipes. It usually involves a trip to Chinatown! My only complaint is that I have made almost everything! You guys are great. I know I said it before, but thank you so much for being so supportive and kind!! Loved this hainanese chicken dish. My girls loved it. If I wanted to do two cups of rice , I should just double the water/broth ratio but how many minutes should I cook the rice? Would it still be 3 minutes? Or more? This recipe is the first result for “hainan chicken rice instant pot” on Google, so that’s how I found it, and I’m so glad I did! I’ve made it before because it’s my husband’s favorite, but the pressure cooker makes it so much easier and tastier — the IP meant that I had fifteen minutes at the end to clean up and make sauces and soup instead of hovering over a rice pot to make sure it wouldn’t burn, and all the gelatin got extracted from the meat. I mostly followed your recipe, although I used only 3 chicken drumsticks because that’s what I had, with 4 cups of rice because my husband is a big eater :), and added some cilantro, and the big change from your recipe is that I put the chicken back in on top of the rice to cook because we like the meat to be falling-apart tender instead of the poached texture. It was delicious, especially the sauces and the lettuce soup, which really made it feel like restaurant food in a good way. The toddler also gives it two (small, sticky, sweet-soy-sauce-coated) thumbs up, soup and green bits and all. Cilantro goes great with this dish!! Hi!! This is mine and my GFs FAVORITE recipe. I think I must have made it 25 times so far. One question I have though – while I love my instant pot, I’ve been thinking about how to experiment with cooking the chicken and making the broth outside of the instant pot. Do you have any suggestions for how to make this without and instant pot? Specifically just the chicken and broth part since I no longer use the IP for rice. For cooking on the stovetop, you can bring the broth to a boil and then add the chicken legs. Return the broth to a boil, put the lid on and turn off the heat immediately. It will take roughly 35 minutes – 40 minutes to fully cook the chicken legs. Just made this for dinner tonight! It was delicious! I ate half of it and now I’ve got leftovers for tomorrow night! The cooking time will be the same. You can add a minute just to be safe! I can’t wait to try this! I’ve done a few recipes on your site and they are always a hit at home. 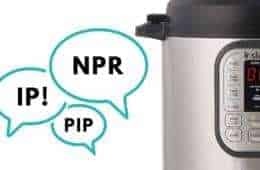 Question about the rice (which I’m always confused about)… the instant pot comes with a rice measurement cup, do you count that as a cup? or do you use something like a pyrex and measure a cup from that (250ml)? I’ve done rice once before from your clay pot recipe but the rice ended up burning on the bottom. I can never seem to get it right. I know the ratio should be 1:1 though not sure is it one rice cup (what cup?!) + 250ml water? Thanks so much guys! The rice measurement cup that comes with the Instant Pot is only 160ml. We use a pyrex measuring cup for rice. I just love this chicken and have made the whole chicken recipe. Unfortunately, there are only two of us and he doesn’t like it. He does not venture far from pasta. I especially adore the tenderness of the breast meat and would love to know how long I should cook just a skin bone-in chicken breast. I have sous vide boneless breasts but it’s not as flavorful as this and I get the added bonus of using the poaching liquid to make the rice or quinoa. This recipe is more suitable for dark meat as nothing will be able to beat sous vide breast in tenderness. Would this work with Costco sized drumsticks? Frozen? Sorry for complicating things. This looks so good! How long do I run the chicken under cold water after cooking? Or if I decide to use the ice bath then how long should I leave the legs in there? Not too long. Roughly 15 – 20 minutes. Followed this recipe to the T! I doubled the ginger scallion sauce because my husband and I are obsessed with it. It was delicious and so easy. Thank you soooo much. Your recipes are without a doubt the best. We also cannot say no to more ginger scallion sauce! Hi! This recipe looks great. If I use chicken thighs well the cook time change? Thank you so much! The cooking time for chicken thighs will be 6 minutes and 10 minutes natural release. I made it! My son loves it. The rice turned out perfect and tasty. The chicken legs are a bit overcooked. I used the 8 qtr cooker. I used the leftover chicken soup to boil french beans and they turned out great as well. I have also tried your Sau Mei recipe with some salt added and it is the best ever. My son is a picky eater and he likes all the meals prepared using your recipes. I am from HK and appreciate more Chinese/Asian food. You are the greatest! What is the cooking time if i want to make a whole chicken? You can use this recipe here. I made this for dinner yesterday, and it was very close to the restaurant version. Thank you for sharing this delicious recipe! 🙂 Have you tried making this dish with a whole chicken? You can use this method here. I’ve tried this once with chicken thighs and it was delicious! Although the thighs are a bit more brownish than the usual. If I wanted to double my chicken, do I need to double the liquid? Or just enough to make sure that all the chicken thighs are submerged in the liquid? Thanks! Just make sure all the chicken thighs are at least partially submerged in the liquid. Hello Amy Jacky, I did a hainanese chicken hunt too! Not sure if you venture out to Los Angeles, ca… but if you go hunting again, be sure to look up Savoy in Alhambra,ca and Dong Nguyen in san gabriel ,ca. These two places are famous for this dish. Thank you so much for your suggestions. We will check them out when we visit LA. Hi I’ve heard great things about this recipe! I will be making it soon and would like to double or triple the rice portion. Should i increase oil or minced garlic also? If I do 3 cups rice I should do 3 cups of liquid mixture? For this recipe did you use a 6 at or 8qt? I have a 6 quart and wondering if 8 cups water will fit with the chicken legs. We develop our recipes in 6 qt Instant Pots. Yes, do increase the oil and minced garlic. You will want to do 3 cups of liquid mixture as well. Can I cook the chicken from frozen? I’ve made it with fresh chicken and it’s amazing. It’s so easy that I can pretty much cook this anytime as I always have the ingredients needes. The only thing is that the chicken would be frozen and if I can skip the defrost step it would be perfect! I am hoping it’s just matter of longer cook time! It will not be as good, but it will be fine! The cooking time will be 10 minutes + Natural release. Hi guys, thank you for making this Singaporean girl super happy. I whipped up double the batch just to feed me for dinner, then lunch, then dinner..then possibly one more lunch….because I was confident that your recipe would be amazing ..and it was! My craving for hawker center chicken rice has been sated for now. Thanks again for the simple and amazing recipe! Do we need to parboil the chicken first? It is an optional step. I’d love to try this recipe, but I want to change the Jasmine rice to Calrose, is it still the same cooking time that you mentioned in this receipe as 3 min+NS 10 mins ? For Calrose rice, you will want to follow this cooking time and rice to liquid ratio. Help! I made this 2 weeks ago and it was perfect. But i cooked it tonight with only 2 leg quarters (last time I did 3) and the chicken was still bloody! 🙁 what went wrong? Legs were defrosted although maybe still a bit cold. Does it have to be room temp chicken? Didn’t see this comment earlier. It sounds like the pressure cooker didn’t get up to pressure properly. Make sure no steam is leaking from around the lid. Pushing down on the lid could also be the cause too. As for frozen chicken, you will want them to be at least 75% submerged into the liquid. For this recipe, I would increase the cooking time slightly by 2 minutes. Do I need to adjust the time if I increase the size of what I’m cooking? If you are doubling the recipe, you will not have to increase the cooking time. You may have to decrease the cooking time by 1 minute as the increase in quantity will increase the get up to pressure time. What does “roughly minced” mean to you? To me, roughly minced means each piece doesn’t have to be uniform. It just has to be small enough. Hi! I just received the IP and tried your one-pot chinese chicken and rice on the weekend and it was absolutely delicious – beginner’s luck perhaps but I’m looking to try your Hainanese chicken recipe next 🙂 If I’m using chicken legs that are already cut up (from our local chinese supermarket), do I need to decrease the cooking time? Thanks! For this recipe, the cooking time for chicken legs can be reduced by 1 minute. Made this recipe last week – It was delicious! This is as good as the Hainanese chicken dish I ordered from Malaysian restaurants. Love it! How is this recipe taste different than the Instant Pot version that you have? Thanks! This recipe will work in both Instant Pot and other electric/stovetop pressure cooker. Question – instead of homemade chicken stock, can I use the premade chicken stock you get from grocery store? Will it taste the same? I can’t wait to try this recipe! Both hubby and I love haianese chicken! Just one question: if I were to use a whole chicken instead, do I need to increase the liquid so more of the chicken is coveted? Thanks! All the pieces should be at least partially submerged in the liquid. If I double the chicken, how much do I increase cooking time? Also, I didn’t double the rice. Rice was a bit undercooked so I brought up to pressure and cooked for 0 minutes. After that, rice was cooked but some rice stuck to the bottom of the Instant Pot. Any tips for getting rice to not stick to bottom? As long as the chicken are partially submerged in the liquid, the cooking time can remain the same. Adding more liquid will work as the rice was probably stuck to the bottom because the pressure cooker was brought up to pressure to cook again. i would love to see a video of this! If I double the chicken, do I need to double the other ingredients as well? Also, if I double the rice, do I double the liquids as well? You don’t have to double the other ingredients if you want to double the chicken. Do you have s cookbook of authentic Chinese pressure cooker recipes? We currently don’t have a cookbook out yet. I’ve been obsessed with Hainanese Chicken Rice since I saw a segment on Anthony Bourdain’s show. I bought some Hainanese sauce in an Asian grocery which was expensive and ok.
I’m Chinese and Thai and I made this tonight in honor of Chinese New Year. We loved it! I kept the yummy ginger, garlic and green onion sediments from the chicken broth and used it in the rice. I made 3 cups of Jasmine rice — wasn’t sure about the liquid requirements so found a 1:1 recipe in my instant Pot manual (used 3 c Rice to 3 c broth) and cooked it 6 min on high. It was so savory with the two sauces. A little dry for my tastes — should I have added more broth/water? I added sliced Chinese celery cabbage and sliced Chinese mushrooms to the chicken broth. It was delicious! This reminds me of the cold boiled chicken served with scallions, chopped garlic, salt and peanut oil — and oyster sauce. I always add cilantro! My mom always made it in the summertime when it was scalding hot in Arizona where I grew up. Thank you for the recipe! Its a keeper! My Irish/Polish husband has a cold and loved it! It’s a 5 star but your site wouldn’t let me give it a 5! If the rice is a little dry, definitely add more broth next time (perhaps half a cup more to start). If you have time, try our Thai Green Curry Chicken and tell us what you think! Happy Chinese New Year & Have Fun Cooking! Another hit! The only variation was that I used a whole cut up chicken since that is what I had on hand and I increased the rice to 2 cups. Otherwise, followed the recipe as stated. The broth was so flavorful, the rice delicious, the sweet soy sauce on the chicken was yummy. So fun to have a full dinner from one pot cooking! 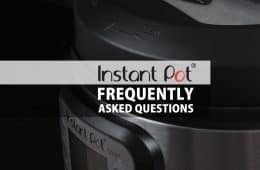 I am part Asian and enjoy all the Asian inspired recipes using the instant pot since I’m not as used to the American flavors that are on most instant pot web sites. Thank you Amy & Jacky, my family is really enjoying all your recipes and the awesome flavors that it coaxes out of the instant pot! Btw, my kiddo told my husband, ‘Dad, mom made the best soup… ever!’ 😉 xo! So happy to hear your family is enjoying them! 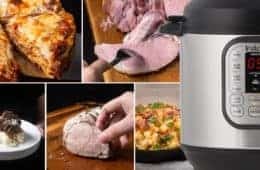 How long did you cook the whole chicken in the instant pot? How many lbs was your chicken? Jacky is a big fan of Hainanese Chicken Rice too!! I’m sure your husband will enjoy it, as with all the delicious you make for your family. All the best to you in this New Year! I love Hainanese Chicken and I can’t wait to try this out. Have you ever tried making this with brown rice, and/or do you have any tips for how to convert for brown rice instead of white jasmine rice? The pressure cooking time for rice will have to change to 15 – 20 minutes (depending how you like your brown rice!) + natural release. Hello, love the website. This will be the second meal I try to cook today. If I want more rice do I need to double the liquid ingredients? Hi! Thank you so much for sharing so many wonderful recipes! I tried to make the hainanese chicken using your recipe last night but had some trouble… the outside of the chicken legs seemed overcooked while the meat inside was still bloody! My husband got me the Instant Pot (model IP-LUX60) for Christmas so it is my first time using it! For this recipe, you said to pressure cook the chicken using high pressure for 8 minutes… does that mean I should use the “manual” function and set it for 8 min or do I use the “meat/stew” function (on ‘less’, ‘normal’ or ‘more’??) for 8 min? My IP model doesn’t seem to have a setting to control low pressure vs high pressure. Thanks!! The setting should be manual & set it to 8 minutes. After the pressure cooking cycle has finished, wait until all the pressure has natural released before opening the lid. What the chicken legs partially frozen or frozen? Were they at least partially submerged into the liquid? I just found your site and love it! I wanted to ask if I could make this Hainanese Chicken Rice using a whole chicken instead of leg quarters. Thanks for your help! but you can cook a 3.5 lb chicken for 20 minutes at high pressure + natural release with okay result. This is a fantastic recipe. I’m so happy to be able to make this at home. My entire family enjoyed this, even my picky toddler! Tastes like it came from a restaurant. I used frozen chicken legs and defrosted it in the microwave until I could break them apart and used the same time. So yummy! Will definitely make it again :). Thanks so much for sharing your recipes! Any hints or suggestions if I want to use breast meat instead of legs? Chicken breast is a very lean meat. It will come out drier and the flavor of the broth will not be as intense. Made this last night for my family and only my 3rd instant pot usage overall. It was fabulous! Definitely restaurant quality. Do you just double the recipe and cook time accordingly if you want to make more in one sitting? I did 2 separate batches of everything since I’m a noob and didn’t want to ruin the dishes but it added considerable time to the entire meal. People were wanting more rice and chicken halfway through dinner. THANKS for making this so–o easy and delicious! Cooking time doesn’t have to be changed for doubling this recipe! You may actually have to reduce the pressure cooking time by a minute if more liquid are used. LOVED THIS DISH AND SO DID MY FAMILY. This is like our 4th meal from your recipes and they are so flavorful. ?? Clay pot chicken rice requires direct high heat. What if I want to double the rice recipe? Does the cooking time stay the same? I made this for dinner last night, and the chicken, rice and sweet soy sauce turned out great! The ginger flavor was not quite there in the green onion ginger sauce. It doesn’t have that same pungent flavor that we are used to in a Hainanese chicken dish. Any suggestions for how to get that flavor to come out? Should I try sautéing that ginger first? Hi… it looks pretty. would luv to get it a try. Can I make it in a rice cooker? do I follow the rice cooker water ratio? Thanks for your interest in trying it out! What’s the time for double the recipe? Is it the same for 4 legs as well? You can use the same cooking time for 4 chicken legs.